TEMPE, Ariz. - July 26, 2018 - PRLog -- Understanding the need for easy, affordable and reliable access to supercomputing capabilities, PADT has partnered with Nimbix to provide High Performance Computing (HPC) in the cloud. The Nimbix Cloud is the industry's first true Software-as-a-Service (SaaS) supercomputing cloud and will provide PADT's customers with on-demand, mobile access to more than 15 ANSYS applications without needing expensive hardware and complex infrastructure to support it. Current ANSYS applications available with Nimbix are listed here. "As long-time simulation users, PADT has always wanted to leverage the cloud for running ANSYS models, but no one could support it before Nimbix," said Bob Calvin, manager, Simulation Solutions, PADT. "The Nimbix Cloud gives our customers a flexible way to run large models from anywhere and accommodate surge capacity when it is needed." The Nimbix Cloud is powered by the JARVICE™ platform, which Nimbix purpose-built from the ground-up to accommodate the most demanding workflows by providing superior performance, capabilities and ease of use. 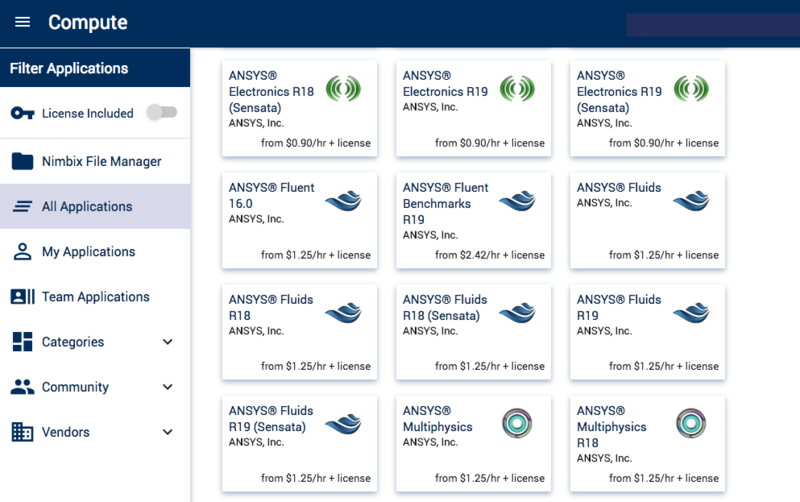 PADT customers can manage start-up, execution, completion, and notifications on full-featured ANSYS applications in the cloud, and send their data from any device including desktop, tablet and smartphones. "With its global recognition as a provider of numerical simulation and product development, PADT is the ideal partner to leverage the JARVICE platform internally and as an offering to its customers," said Chuck Kelly, senior vice president, Sales, Nimbix. "Nimbix high-performance computing in the cloud provides a competitive advantage by allowing users to more easily solve complex design problems and then send the data anywhere to turn results into actionable insights." "We use Nimbix frequently at PADT because of its reliability and performance when running ANSYS software in the cloud," said Manoj Mahendran, lead application engineer, PADT. "The platform has allowed us to easily check and submit simulation test results off-site and on-the-go, providing more flexibility to our simulation teams."